Ever needed to share some files with a team and wished there was a better way than email? OurDisk does just that. It provides a secure, easy way to share files of all types and sizes. OurDisk is the perfect solution for remote teams and business-to-client document collaboration. 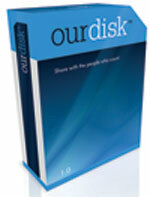 OurDisk is a central location for your key documents like PDFs, Word docs and project material. Your documents live in a highly secure environment and you control who sees each document. Files too large to email are also easily uploaded and stored within your secure web system. Keep their project team up to date with easy access to the latest ‘official’ version of ‘the’ file. Filesight provides one central distribution system for your project team. Architects use it to share large files – too big for email. Graphic Designers use it to control sign-off processes with clients and deal with either many large design files. Printers who need to group final proofs for sign-off. Agencies who need sign-off of final artwork or advertising. Often, both sides of a legal argument need to share documents between teams.This is the perfect solution for the task. Safe and highly secure storage. Email can only send 5mb files at best. Use FileSight to upload the documents, invite your client to log-in to access the file and avoid the email process all together. Your own branded remote file access system for your team or clients to access from anywhere on the planet. Lock down access to files to particular groups. Allocate groups of users to view all or individual directories of files. Secure access management to protect directories from unauthorised access.